If you like classic cars this 1940 Studebaker will put you "IN THE MOOD"! 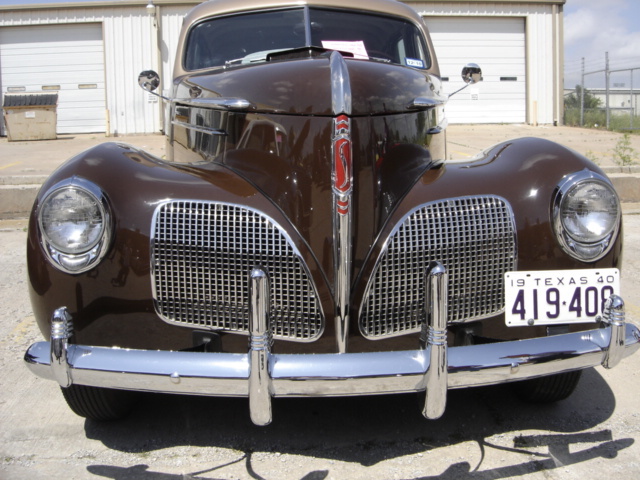 This month’s feature is a 1940 Studebaker President Delux-tone Sedan from San Antonio. While attending the May 22 Studebaker Drivers Car Show in Del City, I came upon a real classic being worked on by Ron Blissit of Norman. 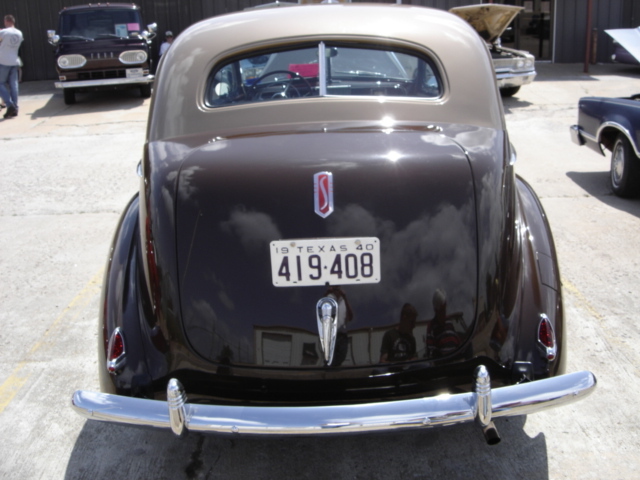 The 1940 Studebaker President was restored by Dee Howard of San Antonio. Dee is famous for inventing the reverse thruster for jet engine which is essential for the braking process during landing of a jet aircraft. Dee passed away in February of 2009. 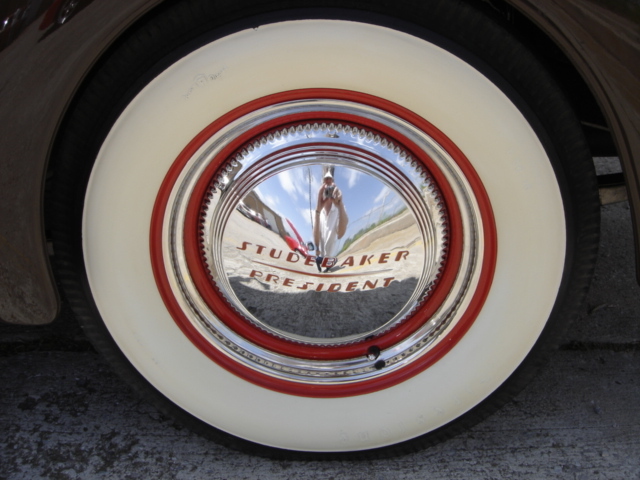 The Studebaker was then purchased by Ted Lee, also of San Antonio. 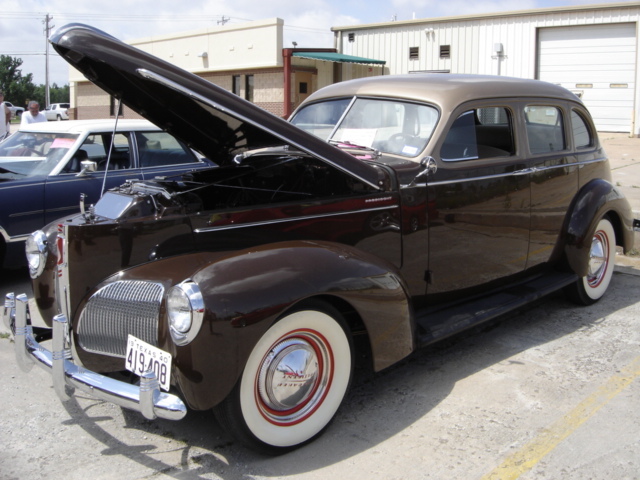 Ted called Ron and ask him to do some mechanical work, which brought the Studebaker President to Norman, Oklahoma. The President is restored to its original color of Chocolate and Metallic Beige. The body work has brought the old studie to better than new appearance. This is not a car you would miss in the parking lot or going down Interstate 35! 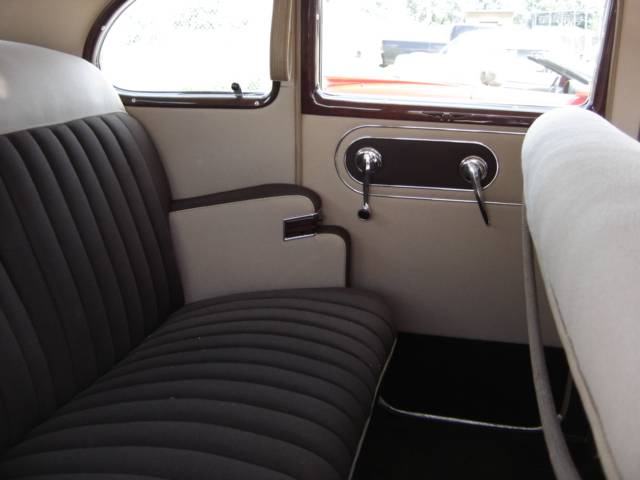 As you can see the 1940 Studebaker President had a lot of stainless steel on the outside trim and on the inside dash area. 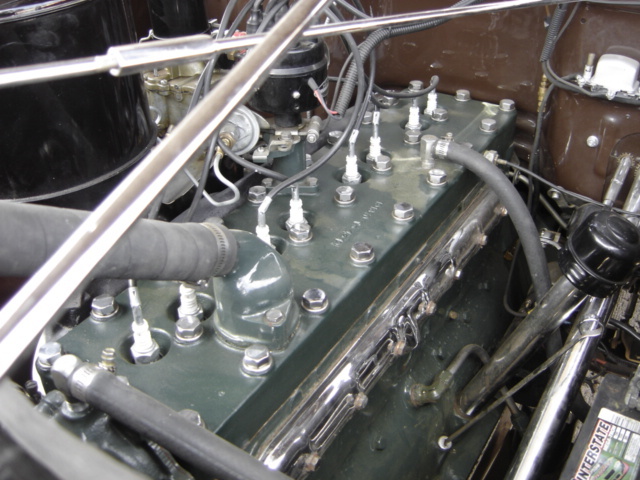 The 250.4 cubic inch straight eight L Head engine put out 110 horsepower and was a work horse engine for Studebaker for many years. They had seven main bearing and were very smooth and dependable. Below is a picture of the Maffe Brothers Studebaker dealership in Bellaire Ohio taken in the spring of 1940. These cars were taken to dealerships that spring to introduce the new line of "Delux-Tone Models of Studebakers. Caravans of the new colorful cars were sent around the country from dealer to dealer to show off the new paints colors and schemes. The DeLux-Tone models even had a different body tag. A portfolio with eleven different color plates was sent to dealers to illustrate the colors. 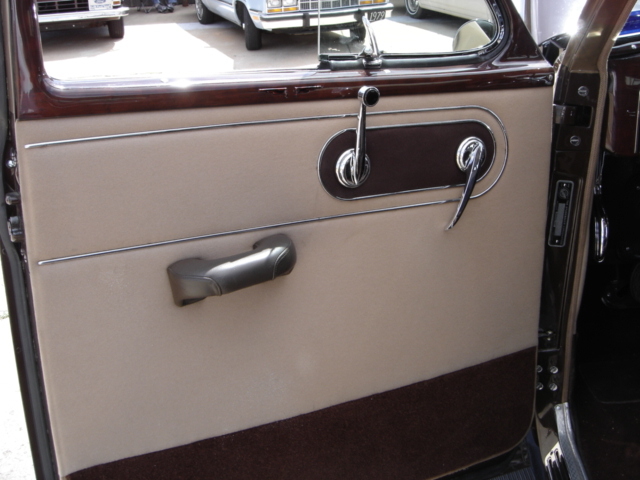 In April 1940, Studebaker made a bold move and introduced an all new trim series called the Delux-tone. Offered on all models, even including the Champion line, the Delux-tone models were, up to that time, the flashiest cars ever offered by Studebaker. 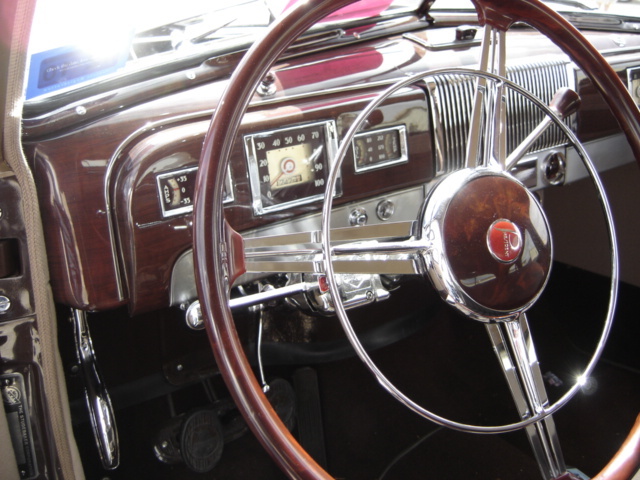 Commander and President Delux-tone models featured colorful two-tone interiors, standard whitewall tires, Burnt Orange or Maroon wheels, deluxe steering wheels, tenite gear shift knobs and five different two-tone paint combinations. 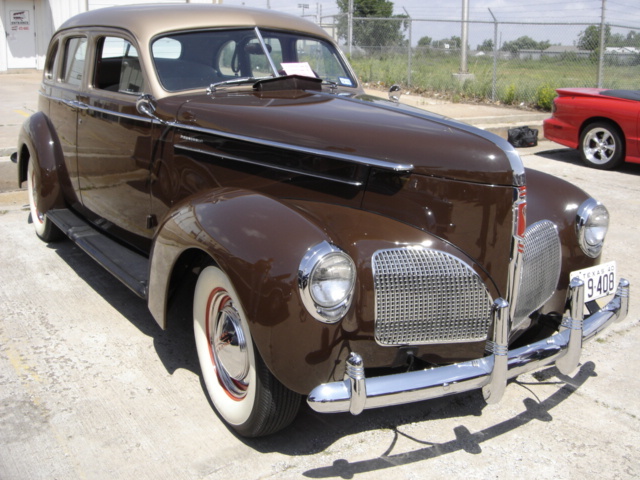 Although little known, Delux-tone 1940 Commanders and Presidents were also available with four different solid exterior colors. 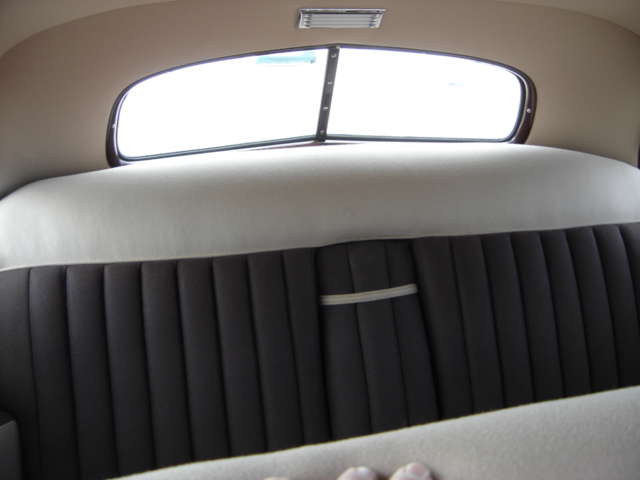 The solid colored models still came with two-tone interiors. Delux-tone models sold for only $40.00 more than regular models; certainly a bargain. The wheels are sixteen inch painted with 6.50 X 16 wide white wall tires and of course the classic Studebaker hub caps. Add to large wheels, an inline eight cylinder engine, an independent front suspension, a 122 inch wheel base and you are 'in the mood' for a cruise. The interior of the President is all back to the original specifications and looks very elegant and eye catching with its two tone color and stainless steel trim. On this day the 1940 Studebaker President Delux-tone Sedan was selected as the Best of Show by a vote of the participants. 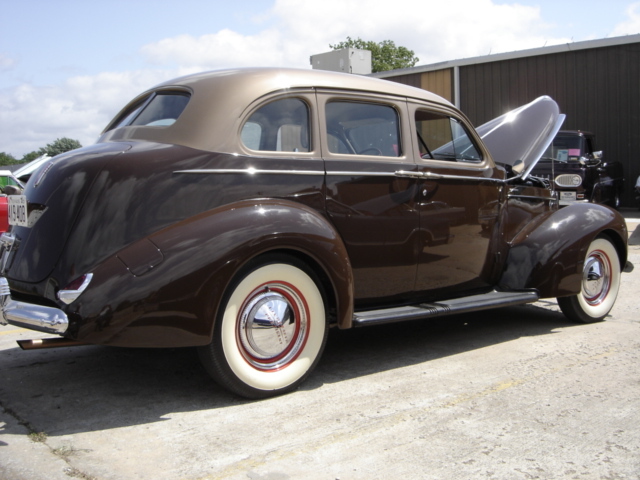 Ron Blissit has repaired the three speed overdrive transmission and other mechanical components of the Studebaker to allow this grand old car to drive down the Interstate like the highway was made for a car such as the 1940 President. Ron says the studie is very easy to drive, extremely comfortable, and the steering is light with a good road feel. The brakes are very good for the period and incorporate a “Hill Holder”. The Hill Holder was another mechanical "first" for Stude­baker, which was introduced as an option on its 1936 models. In '38, it became standard equipment on all Presidents and Commanders. This unique device permits the driver to park on an incline and remove his foot from the brake without concern for roll-back when the clutch was depressed. 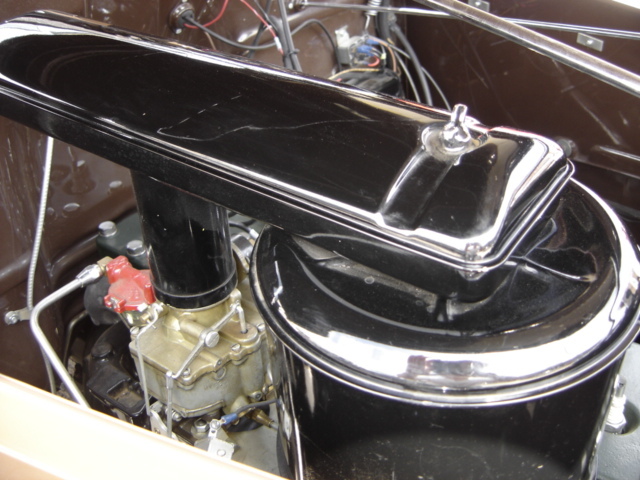 The Cimarron Starlite Cruisers would like to thank Ron Blissit of Norman Oklahoma for sharing this vintage Studebaker President with us and our website viewers.